To begin with, the pitch is hardly in ideal condition for what is the region's biggest tournament and probably the only one where Singapore can take part in and hope to win silverware. While it's not uncommon for new stadiums to have a 'not so perfect pitch' - even Wembley Stadium faced the problem initially, the fact remains that few international stadiums would have a brand new stadium with patches of sand and general unevenness. The new National Stadium is fast becoming an arena for foreign teams, other sports and concerts, and not for local athletes and football. And with 2 other group games and 2 more final fixtures, the pitch is not going to get any better. It's a travesty that so much has been spent only for it to be wasted. This pitch is a goner, the only way will be to tear it up after the competition is over and re-lay a new set of grass, which would have to grown elsewhere. I do hope that this is already in the pipeline. Baihaikki Khazan lamented the effects of a soulless new National Stadium, a view shared by many. Singapore played Thailand yesterday in a stadium marked with a large swathe of empty seats. And judging from yesterday's crowd, the stadium was barely half-full, there appears a ring of truth in his assessment. So yes Juventus played here, and so did a Neymar led Brazil against a Honda led Japan, but in both games it was priced out of the reach of most ordinary Singaporeans. Yes, there were some cheaper tickets, but still expensive compared to prices in the past and elsewhere. The majority of tickets and the better seats in the middle, were not cheap. Snaking queues for tickets outside the old National Stadium. You won't see this sight in a hurry at the new stadium, if prices are gonna remain exorbitant. Is this a stadium for the rich and upper middle-class? What is the Singapore Sports Council, the FAS and the stadium's operator trying to do? Get their money back as soon as possible or make a handsome profit? The Suzuki Cup is the region's premier tournament and Singapore are the defending champions. In past tournaments, the stadium would be filled to the brim, even with live telecast of games. Just take a look at yesterday's game, tickets were going at $48, $38, $28 and $18. You expect ordinary Singaporeans to fork out a minimum of $18 to watch a football game? Is money growing on trees or readily available on our pavements? We grudgingly accept that F1 and major tournaments like the WTA Finals featuring the world's best will have expensive price tags and ticket prices, but not for football featuring Singapore. It should not always be about profit and recovering costs. Some events can and should cost the state money. Are we living in Singapore or Bangladesh? Can't the Govt underwrite part of the costs, or the respective bodies not price tickets too highly and get a rebate from the Govt? Most Singaporeans can only dream of watching F1 races, even though its held in Singapore. But okay we can excuse that, F1 has always been expensive and is a sport usually associated with the rich. But football? Our national sport? Even the friendlies before the tournament at Yishun Stadium cost $12. An ordinary uninspiring stadium like Yishun and you charge $12? A former national player I spoke to was shocked at the price. This is a rip-off, just as yesterday's prices were. 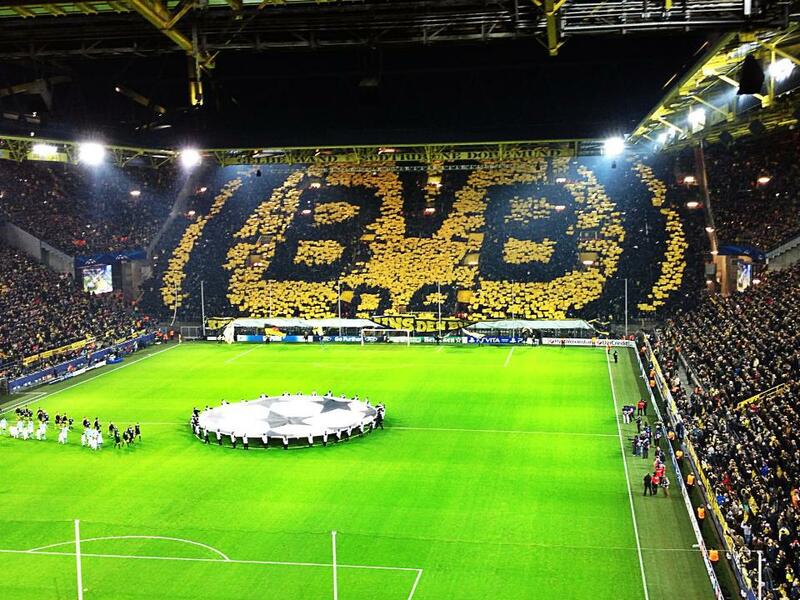 Borussia Dortmund's iconic Westfalen Stadion is always full for Bundesliga, Champions League and Germany internationals. And their cheapest tickets cost less than the $18 for the Suzuki Cup. And Germany like Singapore is a rich country. Even the Bundesliga charges lower for their games. You can watch Bayern Munchen and Borussia Dortmund at around 5 Euros (standing). For the equivalent of S$18, you can be assured of a seat, and that's top class football. What's the SSC and FAS trying to prove? Unless the operator is sacked and replaced by a local who understands the passion and means of ordinary Singaporeans, then the National Stadium will continue to be a rip-off and a soulless stadium for the rich, for concerts and for foreign teams to come play for a fee. It cannot be considered a National Stadium for Singaporeans.